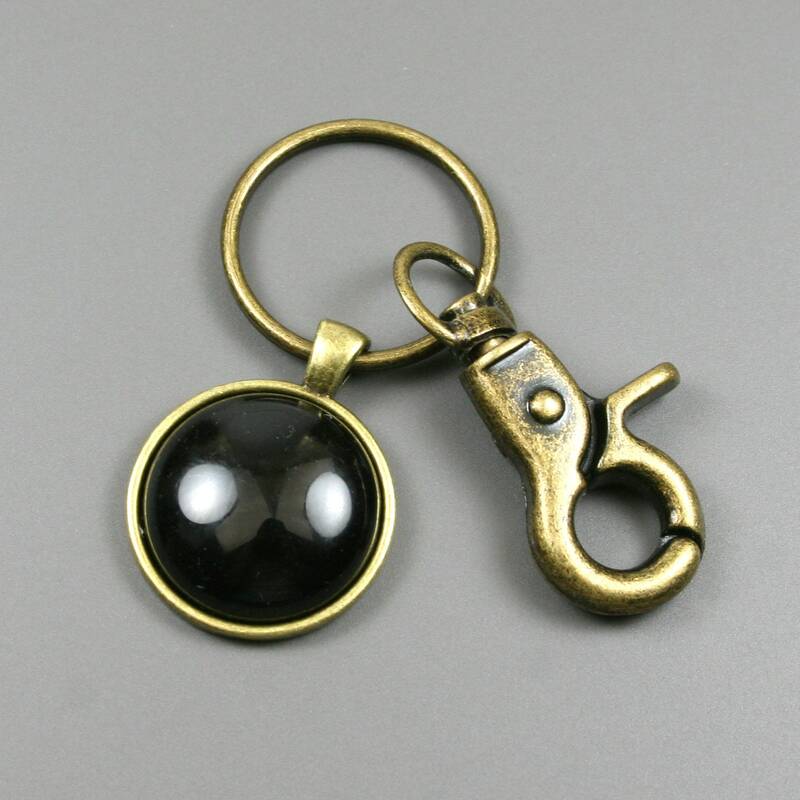 This key chain is made from a 25 mm round black onyx stone cabochon that has been set in a 25 mm round antiqued brass bezel setting and attached to an antiqued brass metal key ring with a swiveling lobster claw attachment. 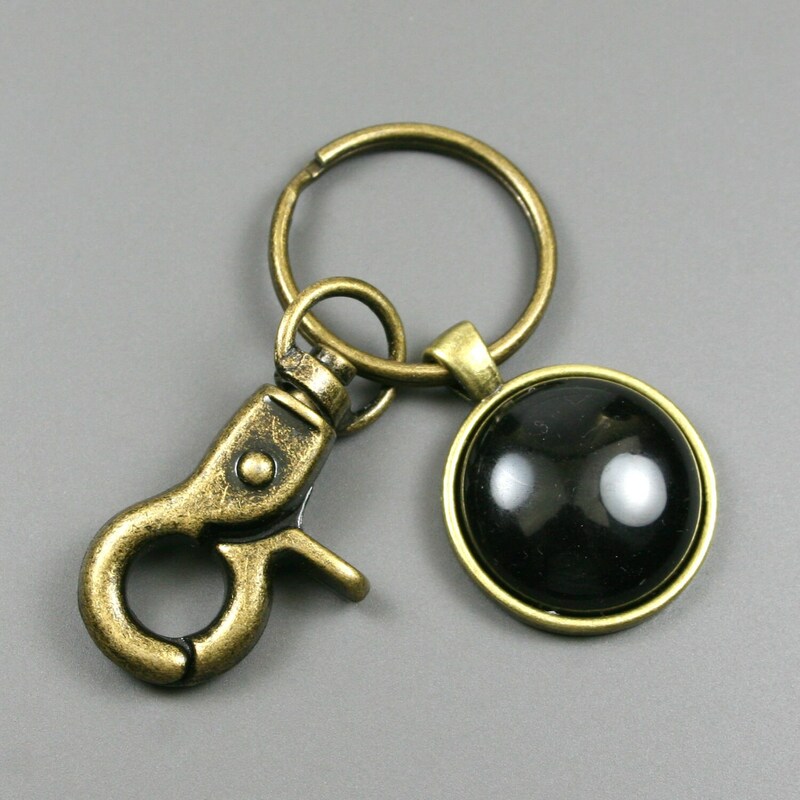 Absolutely loved it, perfect size and looks great. Very happy. Came a day early I believe too. 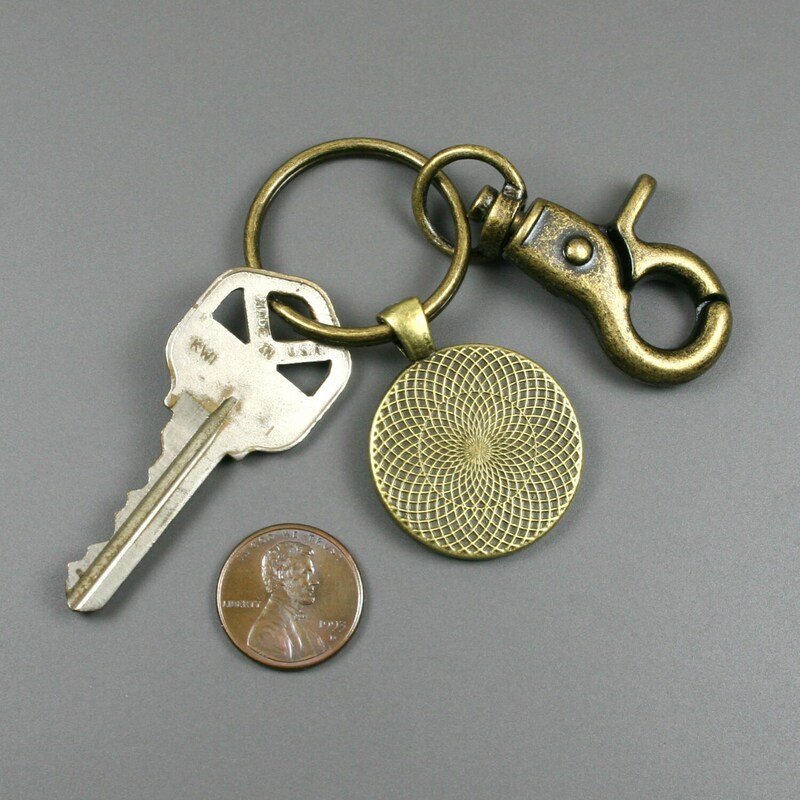 Great keychain.